nurse specialists at University Hospitals Birmingham NHS Foundation Trust. Following a patient from initial diagnosis through the various milestones of their life is among the major attractions of working in diabetes for consultant nurse Theresa Smyth. ‘In other fields, a patient comes onto a ward and is eventually discharged, so you often don’t see them again,’ says Ms Smyth, who has worked at University Hospitals Birmingham NHS Foundation Trust throughout her career. After qualifying in 1990, Ms Smyth was nursing on a medical ward for a couple of years when she realised that around half of her patients had diabetes. Wanting to find out more, she took a post on a diabetes ward. ‘I loved it so much that I stayed in the specialty,’ she recalls. Eventually the ward became a specialist centre and she was promoted, before opting to become a lecturer practitioner at Birmingham City University, working one day a week at the trust. ‘But I missed the patient side of things,’ says Ms Smyth. When a post as a nurse consultant was advertised, she applied and has been working in the role for the past 11 years. 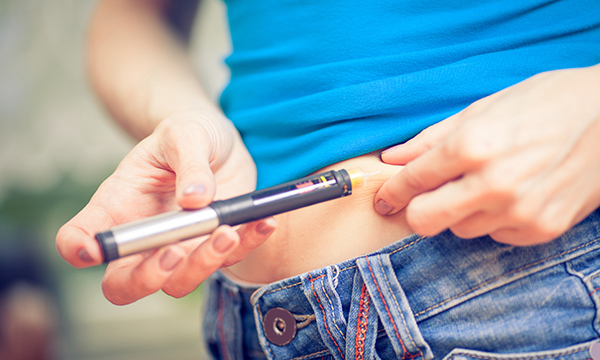 As one of around two dozen diabetes consultant nurses in England, she is in the minority who work within acute care rather than the community. Nurses are pivotal to good management of the condition, she believes. 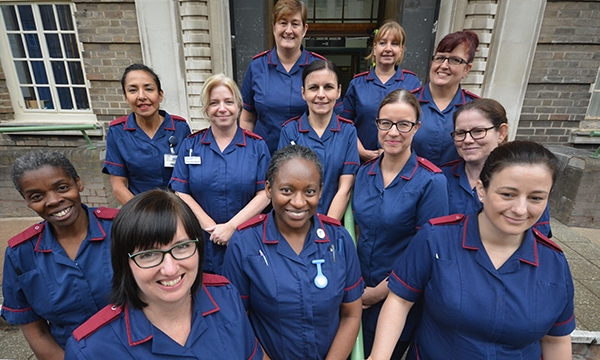 ‘For all our patients, we stress that it’s something they control, rather than it controlling them,’ says Ms Smyth, who manages a team of 16 nurses. ‘Nurses are at the forefront of care, often having the first contact with a patient and providing initial education. We are setting the scene of their life with diabetes, from diagnosis. For some it can be a huge shock, as they are having to administer insulin injections four times a day straight away. With at least half her time spent in clinical practice, she has maintained her university links. She ran two modules in diabetes last year, with plans to develop undergraduate and master’s degree modules, working with a newly employed associate professor in diabetes. ‘I love teaching, but even more so when I can relate it to practice,’ she says. Among the trust-wide initiatives she has helped to drive is ‘diabetes – back to the floor’. This involves visiting general wards to look at how patients who also have diabetes are being managed. ‘It’s about quality assurance,’ explains Ms Smyth. In practice, it involves everything from checking that patients are having adequate blood glucose monitoring and that their blood sugar levels are being acted on, to looking at fridges to make sure insulin is being stored properly and talking to staff to see if their knowledge is up to date. ‘If there are areas that need improvement, we can give immediate feedback, looking at what we can do to support them,’ she says. ‘We emphasise the positive aspects too, so if staff are doing things well we will praise them. RCNi Nursing Careers and Jobs Fairs are the largest CPD-accredited nursing recruitment events in the UK. Visitors can meet leading employers and agencies with immediate vacancies, and receive advice on finding a new job, revalidation, and climbing the career ladder. If you're looking for a new job, or aiming to develop your nursing career in 2018, come along to our next event. Go to www.careersandjobsfair.com to book your free place today.